I originally wasn't going to post a review of Halloween Horror Nights Hollywood, but I've been missing Halloween so badly that I figured reminiscing about past months' festivities might help ease the pain a little! 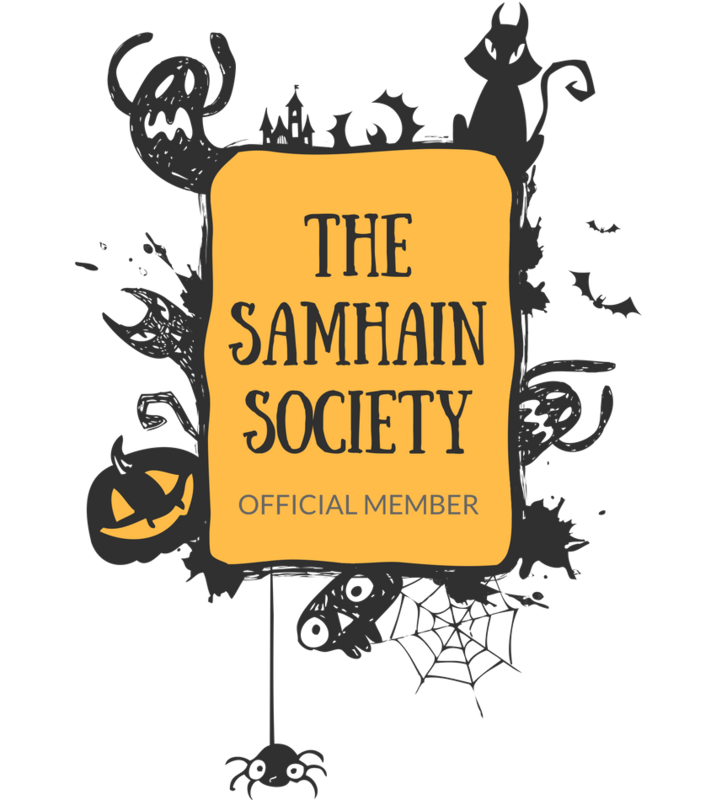 Plus, I'd like to get into a habit of sharing more about all the Halloween activities I do because, seriously, Halloween season in Southern California is full of so much spooky good stuff! I went to Halloween Horror Nights Hollywood at Universal Studios back in late September. It was the second weekend they were open, and I wanted to go before it got too late in the season and got super-crowded. Well, the Friday night I picked was actually sold out, so there went my plan of going when it was less crowded, haha! This was only my second time at HHN - the first time was in 2014 (you can read all about it HERE). That time I was seriously spoiled with VIP tickets (unlimited front of line for every attraction plus lots of other neat perks), but this year they didn't have that option, so I went with a front of line pass (though this option allows front of line to each maze only once, so if you want to do a maze a second or third time you have to stand in the looooong lines to do it). I highly, highly recommend front of line passes if you can afford it. They save so much time and the most I had to wait in line was maybe five minutes. Totally and completely worth their hefty price tag! This year, they had early entry, so we ended up getting in around 6PM. Universal claimed that some mazes would open early, but no one working there seemed to know which mazes opened early or when they would open, so we kinda lost time trying to figure that out. We ended up waiting in line for The Walking Dead attraction to open (which it finally did at 7PM, I think). It was good (and really long! ), but it is also open year-round so I probably wouldn't choose it as my first maze next time. Also, I was hoping that The Wizarding World of Harry Potter would be open during HHN, but alas it was completely closed. Boo. After escaping The Walking Dead, we made a beeline for the lower lot and the farthest mazes to hit those first since they tended to get more and more crowded as the night went on. We went through a few Purge scare zones, then did Krampus, then American Horror Story, then Freddy vs. Jason mazes. We then finished up the lower lot with The Exorcist and Halloween mazes and headed back up to the upper lot and did the Terror Tram, The Texas Chainsaw Massacre: Blood Brothers maze, and the remaining Purge scare zones. With the front of line pass ticket, it took about four hours to do everything (and that includes grabbing food and drinks, bathroom breaks, and riding a few of the regular rides). The front of line pathways were clearly marked (and if they weren't the staff were always helpful in pointing us in the right direction), and we barely waited for any mazes. The general admission wait times were around 60 - 90 minutes and there is no way you would be able to do every single maze with those kind of wait times! The mazes themselves were phenomenal! So much attention and detail was put into the mazes that it really did make you feel like you were in the middle of a horror movie. The scare actors themselves were also great and played their parts well. I am not one to get scared in mazes, but there were several times where actors "got" me! Krampus - "Everyone knows the story of Santa Claus and how he brings toys to good little girls and boys on Christmas Eve. But what is less well known is what happens to the naughty children who don't make Santa's list. Who visits them on Christmas Eve and what terrible 'gifts' does he bring them? You're about to find out! Welcome to Krampus, a horrifying twist on the Old World Christmas legend based on the 2015 hit film by writer/director Michael Dougherty. For centuries, parents in Europe have frightened their children with stories of Krampus, the malevolent version of Saint Nicholas who preys on bad children during the Christmas season. Now Krampus and his nasty little helpers have come to America, to terrorize those who have lost the meaning of Christmas. It will be a lesson you will never forget...if you survive it." I adored this maze! The exterior gets you in a creepy Christmas mood and the inside was spectacular! I especially loved the evil elves creeping around and the room with all the scary snowmen was perfection! The smells of gingerbread and coal were nice touches as well! American Horror Story - "Step inside the twisted world of American Horror Story, the award-winning anthology horror series that’s been terrorizing TV viewers since 2011. Your journey begins at MURDER HOUSE, a century old residence on the outskirts of Los Angeles with a tragic past. The unfortunate souls who perished inside are forever trapped within its walls and each room harbors its own horrible secret. Your next stop is the creepy backwater town of Jupiter, Florida where a struggling FREAK SHOW has taken up residence. The human oddities on display inside the big top are nothing compared to the murderous men and women who fight to control this psychotic circus. Finally, you will check in to the HOTEL Cortez, a ruinous relic of a bygone era that conceals a torture chamber of murder and madness! 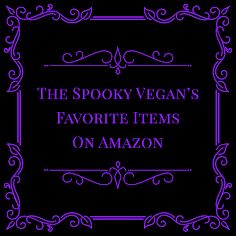 Inside the hotel’s haunted hallways lies a host of supernatural characters bent on making you a guest for all eternity." I enjoy the American Horror Story show, so this maze was a delight and pretty surreal to walk through! I really loved the actors in this one since there were so many different parts to play - all my favorite characters were there! The pig-faced man in the shower from Murder House was frightening, and the emaciated creature that jumps out of the bed from Hotel was startling! The Exorcist - "Get ready to witness the The Exorcist, a terrifying new horror experience based on the 'scariest film of all time.' Inside the MacNeil house, a violent battle is raging. A battle between the forces of light and all the powers of Hell! At stake is not only the soul of one troubled girl, but the soul of anyone who sets foot inside the house. Something beyond comprehension is happening to a twelve year old girl named Regan MacNeil. Some dreadful entity has invaded her body, transforming the innocent young girl into a horrid creature that is unrecognizable to her own mother. A creature that has been possessed by a demon… possibly the devil himself. The demon knows you're coming. Stay on the path of the righteous...and fear the darkness!" This was probably the most unnerving maze - I was constantly batting little filaments of string that they hung from the ceiling out of my face, which distracted me enough so that all the Pazuzus and possessed Regans jumping out of dark corners got me! That and I was constantly being sprayed with holy water! Very unsettling, well-done maze! 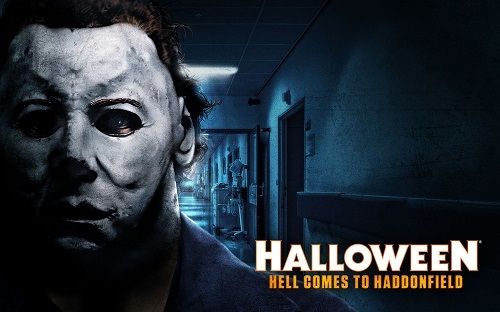 Halloween: Hell Comes to Haddonfield - "Welcome to Halloween: Hell Comes to Haddonfield, the terrifying sequel to 2015's Halloween: Michael Myers Comes Home, the highest rated maze in the history of Halloween Horror Nights! Picking up where the classic film ended, you'll experience the shocking final confrontation between Dr. Loomis and Michael Myers in the Doyle house, only to realize that the real terror is just getting started! As Dr. Loomis well knows, 'You can't kill The Boogeyman.' Michael Myers is still out there... relentlessly pursuing his prey from the sleepy streets of Haddonfield to the labyrinth-like hallways of the Haddonfield Memorial Hospital.You thought he was finished. But it was just the beginning. This night of nightmares isn't over." My favorite part of this maze was the massive pumpkin you got to walk through! It smelled like pumpkin spice and was just magical. Also the mirrored room with the neon-colored masks (and lurking Michael) was boo-tiful! Freddy vs. Jason - "Welcome to Freddy vs. Jason, a new maze inspired by the 2003 film that brought together two of the biggest icons in horror history. Prepare to be thrust into the middle of an epic battle between Freddy Krueger, from A Nightmare on Elm Street, and Jason Voorhees, from Friday the 13th. It's a battle that rages through the twisted landscape of nightmares from the haunted shores of Camp Crystal Lake to the house at 1428 Elm Street. Your experience culminates in a final showdown amongst the burned out ruins of an abandoned boiler factory, where Freddy's evil legacy first began. In this fight to the death, someone must win and someone must lose! Will you make it to the end to find out?" This one was a lot of fun, you can't go wrong with Freddy or Jason, and both of them together was just awesome! The Texas Chainsaw Massacre: Blood Brothers - "It's been 5 years since a group of unlucky teenagers had a fatal encounter with a chainsaw-wielding psychopath named Leatherface and his cannibal clan at an isolated farmhouse in South Texas. Despite the best efforts of law enforcement, the farmhouse was never found, the murder weapon was never recovered and the demented killers were never brought to justice. Emboldened by their ability to literally get away with murder, The Sawyer Family has decided the time is right to expand the family business! Now that ChopTop, Leatherface's mentally unhinged brother, has returned from war, the Sawyers are ready to take the slaughter to an entirely new level and bring their cannibal cuisine to the masses!" I loved how they continued the story of brothers Leatherface and Chop Top - their rooms were sweet, in a sick and twisted way, haha! My only complaint is that this one felt less memorable and shorter than the others. This was also the one where we actually had to wait for five or so minutes before being let in (I think the wait in the general admission line was 90 minutes, though, so I really shouldn't complain). The Walking Dead - "Enter the post-apocalyptic world of AMC's The Walking Dead. Prepare to fight for survival in a fully immersive journey as you navigate through a world overrun by hungry walkers. Follow in the footsteps of the human survivors as you battle your way through nightmarish iconic landscapes that bring the most popular cable TV show in history to life!" This is now a permanent attraction and you can visit it year-round! I was impressed at the amount of zombies they had in this maze, and how long it was! 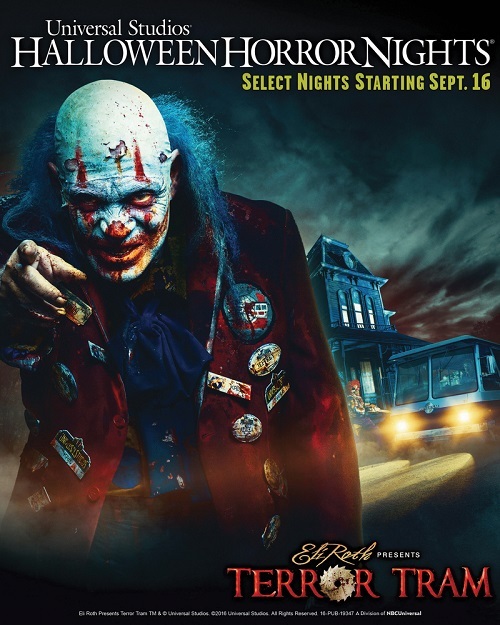 Terror Tram - "Horror auteur Eli Roth (Hostel) and his digital network Crypt TV take the helm of the infamous Terror Tram, marking the first time ever that the signature attraction comes to life through the twisted mind of the filmmaker. Eli Roth Presents Terror Tram will expose guests to the fabled legacy of serial killer clown 'Hollywood Harry,' the story of a former jovial celebrity clown turn depraved murderer, and the minefield of carnage he left behind. The all-new Terror Tram experience follows the sordid tale of former Los Angeles resident Harold Kappowitz whose alter ego 'Koodles the Clown' went from cheerful circus performer, to the lovable star of his own children's network television show before he was overcome by his genuine killer instincts." This experience was really meh. I thought it was too short, especially considering how much longer it seemed in past years. And clowns aren't scary to me, so...You did get to walk by the Psycho house (and, if you want to pay extra, get a photo with Norman Bates) and walk through the War of the Worlds set, so at least there is that! The Purge Scare Zones - "A terrifying twist on this year's scare zone, Halloween Horror Nights introduces a new themed experience, inspired by Universal Pictures' disturbing blockbuster trilogy, The Purge: Election Year, that permeates all areas of the Park. Iconic scenes from each of the frightening films will recreate the turmoil and pandemonium that exists when masked vigilantes go hunting for victims during the government's annually sanctioned killing spree." With the exception of the Purge zone down in the far lower lot where Krampus, AHS, and Freddy vs. Jason were housed, I thought the scare zones were really weak this year, especially on the upper levels. Maybe it is time to shelve the whole Purge deal and find something else to use for the scare zones. 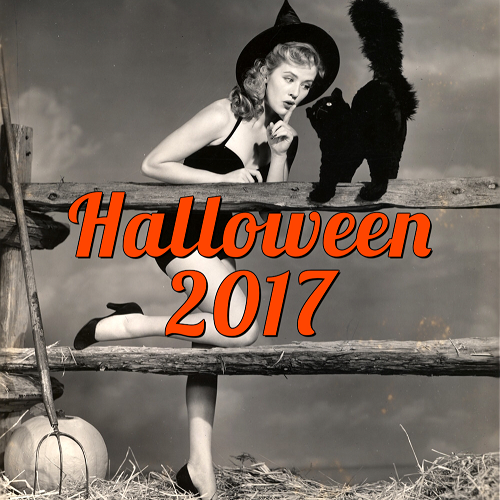 And there you have it, a little late, perhaps, but my thoughts on 2016's Halloween Horror Nights! They really did a fantastic job this year and I can't wait to see what new terrors 2017 brings us! Purchase tickets in advance - Tickets generally go on sale in late August, sign up for their email distribution list so you can get a heads up when they go on sale. The earlier you buy them the more you will save! Also, front of line tickets sell out fast, so you want to purchase them as early as possible. 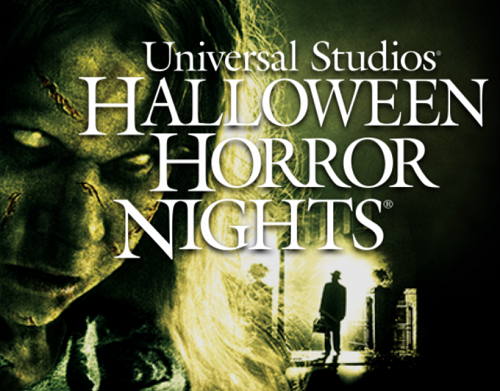 Arrive early - Check Universal's social media pages for when they open Halloween Horror Nights - some nights they open earlier! The earlier you get there, the more you will be able to do, plus parking will be easier (take public transportation if you can!). Make a game plan - Before you arrive, make sure you have a game plan ready for what you want to do and where you want to go first. The night will require lots of walking, so having a game plan will maximize your night! The strategy that works best for me is heading down the the lower lots to do the attractions farthest away first, then making my way back to the entrance. 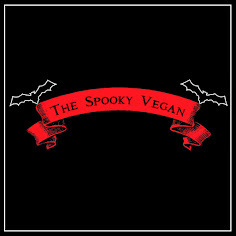 Keep in mind no outside food/drink is allowed in - They are very stringent about this, and because Universal has such limited vegan options inside the park (read about their vegan options HERE), make sure you eat dinner somewhere else before entering HHN. I recommend the nearby SunCafe (review) or Vegetable (review) restaurants! And that's it! 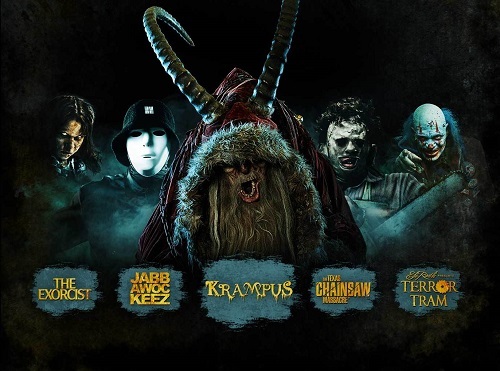 Hope you get to experience Halloween Horror Nights Hollywood next year! If you have been before, what was your favorite maze/experience? 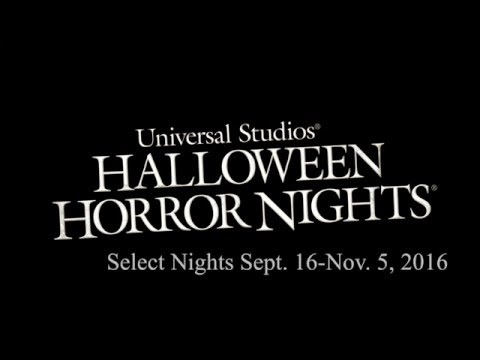 For more info, you can visit the Halloween Horror Nights website! I went to HHN in Florida, no special passes. I only got to go through 3 mazes due to the wait for most everything being at least 90 minutes! I won't be going back unless I pay extra or they deal with the crowds better. I've gone in the past and the crowds were never this bad. I see Universal more concerned with making $$ where Disney is more about making sure you have a good time. I know the Disney Halloween party isn't the same but they do only sell X number of tickets a night and while busy, the park is not nearly as crowded as it is during the day. I will only do HHN with, at the minimum, front-of-line passes. No waits for anything and you have time to do everything! Totally worth it and I love the mazes. I usually go to Disneyland around Halloween but have never done the nighttime Halloween party. One of these autumns I will do it, but it doesn't seem as fun to me as HHN or going to Disneyland on a regular day. Plus, we don't have all the cool villains/Hocus Pocus show that Florida gets!